A tradition that dates back over 4,000 years, giving your loved one the gift of an eternity ring is the ultimate sign of pure devotion. This ancient practice is thought to have been celebrated during the Egyptian era, where men would adorn their special someone with a ring which resembled a snake devouring its own tail. A timeless gesture, this special act becomes even more sacred as the years pass by. Throughout the years, traditions have altered as to why, when and what you receive for certain milestones in your relationship. 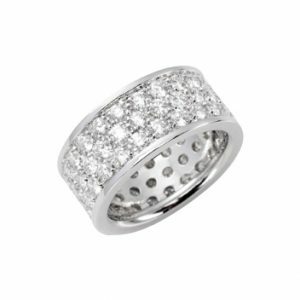 Many modern eternity rings feature diamonds that encircle the band, which highlights a change from traditional wedding anniversary gifts, as originally wives were not gifted these precious stones until their 60th anniversary. Although originally given after a long amount of time has passed, eternity rings are there to symbolise the future. These days they are often given to represent the circle of life. When you welcome your first child into the world, it is commonplace to commemorate your achievement together with a diamond eternity ring. The ring represents the next step of your relationship. You don’t stop growing together after your wedding day, you start your own family and add new chapters to your story together. 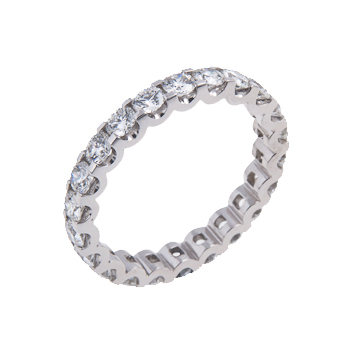 The classic design of the eternity ring reinforces the idea of never ending love. The endless circle of the ring is not interrupted by statement gems protruding on top, much like wedding and engagement rings. The gems on an eternity ring are set into the band, gently twinkling around the ring finger. Diamonds may be a popular stone of choice, but there are plenty of other gorgeous gems that can be incorporated into the intricate design of an eternity ring. From royal red rubies, to envy-inducing emeralds; your eternity ring embodies your relationship and isn’t held up to conventions. 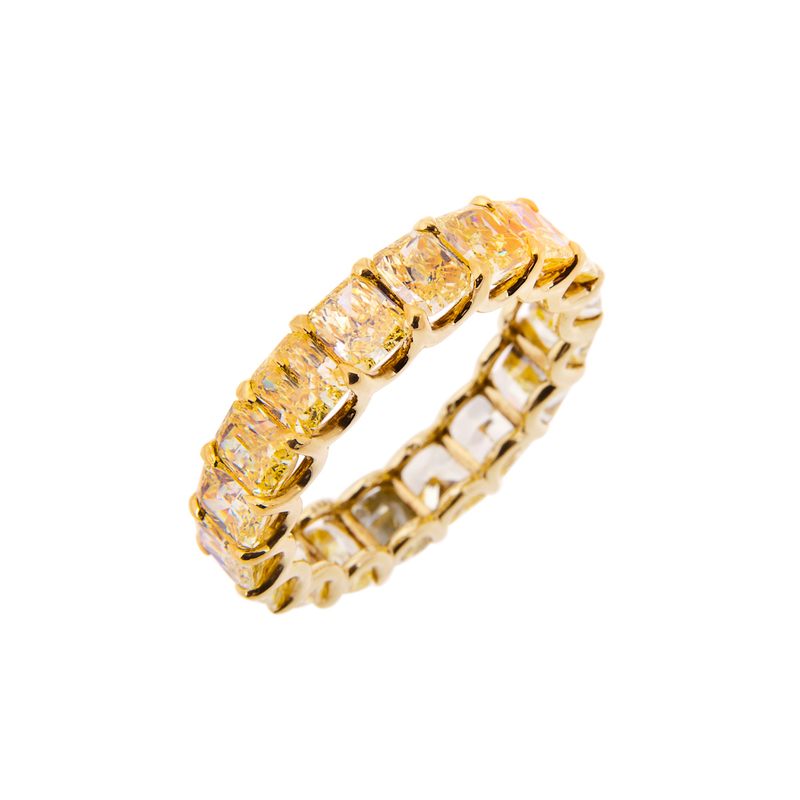 Whether you take your wife along with you, or choose one yourself that you think captures her personality; there’s no doubt she’ll fall in love with you all over again when you slip an eternity ring on her finger. 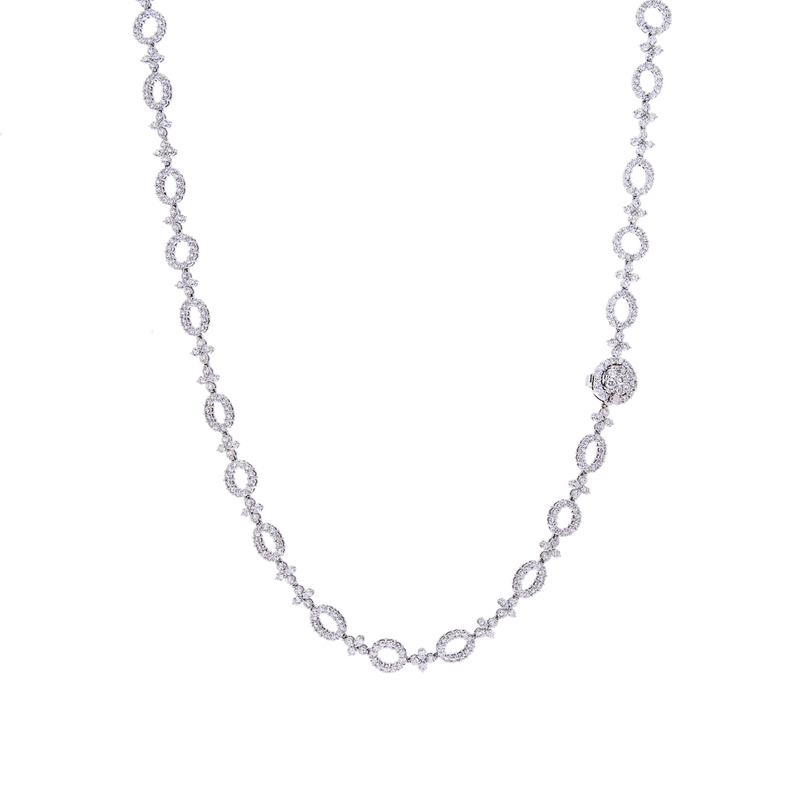 An eternity ring is an exciting chance to go the extra mile. If you wanted to save on your wedding ring and spend more on the ceremony, an eternity ring gives you the perfect opportunity to find a more impressive piece to show off your devotion to that special someone. If you eventually decide to renew your vows, an eternity ring would be the perfect way to give new life to the everlasting promise you made to the woman of your dreams. Reaffirming your love for your partner is a personal moment that you can look back on every time you notice the glint from a piece of jewellery that you will cherish forever. 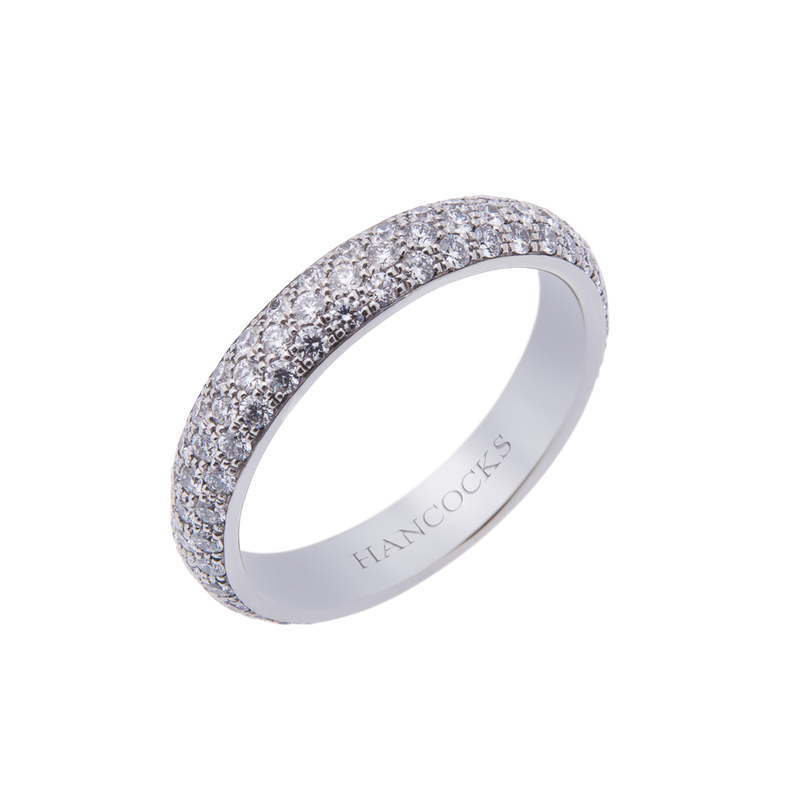 At Hancocks, we have a stunning array of eternity rings which feature a range of glittering gemstones. If you’re looking to purchase an eternity ring for your loved one, consult our experts for advice and help finding the perfect ring.